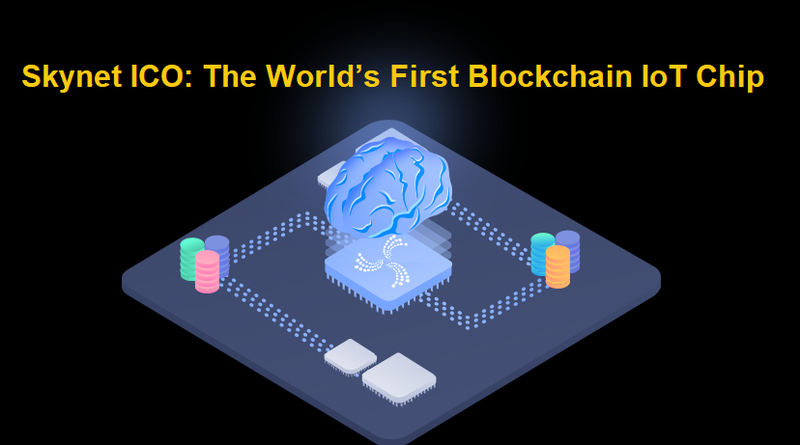 Skynet combines innovative solutions for scalable distributed ledger networks with the first blockchain chip to create an industry-ready IoT interconnection of unprecedented scale. This company Currently at the ICO stage which aims to resolve the issues of blockchain adoption and the functionality of the Internet of Things (IoT). The team at Skynet aim to deliver an end-to-end system that includes a hyper-scalable IoT blockchain network and the first blockchain chip in the world. The project includes billions of blockchain chips that do not require licenses and will deploy to devices worldwide, connecting via the Skynet blockchain network. SC-1000 is a 32-bit RISC-V Blockchain Core featuring hardware wallet blocks and CPU for use on standard IoT devices. SC-2000 is the 64-bit version that includes tensor processing, hash acceleration, and the hardware wallet, all for Edge Intelligence. Finally, SC-3000 is another 64-bit RISC-V Blockchain Core, this one with a tensor processor array, AI-protected cold storage, and hash acceleration for complex intelligence. Skynet Core supports isolated computing hardware, cryptocurrency storage, hash acceleration, transaction signing, device identity, and machine learning over distributed networks. Blockchain applications can be redefined at the hardware level with new methods to secure data, validators, and cryptocurrencies. Achieve Matrix Multiplications At Tens Of Tera-Operations Per Second on-chip Intelligence. Skynet has embedded crypto wallet in Skynet Core. This crypto wallet has RSA encryption, secure memory, and CC EAL6+. The goal of this crypto wallet is letting devices like wearables and smartphones have crypto storage capabilities just like those found on the ledger. Run High Throughput Public or Private Blockchains With Tailormade Cryptographic Engines. Run blockchains and untampered code on an Open Source RISC-V secure enclave. With a scalable and open design, Skynet Core aims to interconnect and power billions of Internet of Things devices in the next several years. Skynet Cores will come with its native tokens, allowing devices to fully utilize any network in the Skynet ecosystem while fostering adoption of blockchain technology. Skynet Open Network (SON) is a modular platform that scales horizontally with the amount of blockchains on it. Skynet-powered devices will come with SON’s native cryptocurrenices, enabling developers to build their own high throughput distributed applications that can be adopted across the Open Network immediately. SON uses a purpose-built hardware and BFT dPoS architecture combination to handle the workload and celerity needed for IoT domains. With an infinitely scalable architecture that achieves instant finality, SON supports networks that are immediately ready for the low fee and high throughput nature needed for the Internet of Things. Achieve One Second Block Finality Without Mining Or Centralization. Scale Operations Indefinitely By Spawning More Chains. Execute Transactions With A Near Feeless Cost Of <.001 Of A Cent. Create Independent Chains With Different Governance and VMs. SON integrates the hardware, transport, security and payment layers into one single end-to-end system to serve as the data bus for all M2M interactions. With an Ethereum-compatible micropayment, dApp, and incentive layer, SON is designed to create an economically viable M2M Economy. Accrue a machine reputation with each transaction and participate in a global identifiable IoT network. Reduce operational and computational costs by distributing workloads across devices. Participate in a global M2M marketplace by exchanging data, information, and neural networks. Train models and exchange knowledge without ever sharing or transferring data. Skynet is a futuristic and ambitious project which hopes to take the link between blockchain technology and Internet of Things devices to the next level, providing the first blockchain IoT chip for easy deployment. One of the ultimate goals of Skynet is becoming the central core for IoT devices by default thanks to its advances in this field.